Osaka is Japan’s second largest metropolitan area after Tokyo. It has been the economic powerhouse of the Kansai region for many centuries. Osaka was formerly known as Naniwa. Before the Nara Period, when the capital used to be moved with the reign of each new emperor, Naniwa was once Japan’s capital city, the first one ever known. In the 16th century, Toyotomi Hideyoshi chose Osaka as the location for his castle, and the city may have become Japan’s political capital if Tokugawa Ieyasu had not terminated the Toyotomi lineage after Hideyoshi’s death and moved his government to distant Edo (Tokyo). Lunch (Buddhist vegetarian cuisine). Buddhist vegetarian cuisine is served for lunch, so we welcome vegetarian participants. The highlight of Koyasan. Walk along the 2-kilometer path to the temple in a mystical atmosphere lined with hundreds of thousands of small stone pagodas. There will be a lot of walking at each destination on this tour, so please wear comfortable shoes. 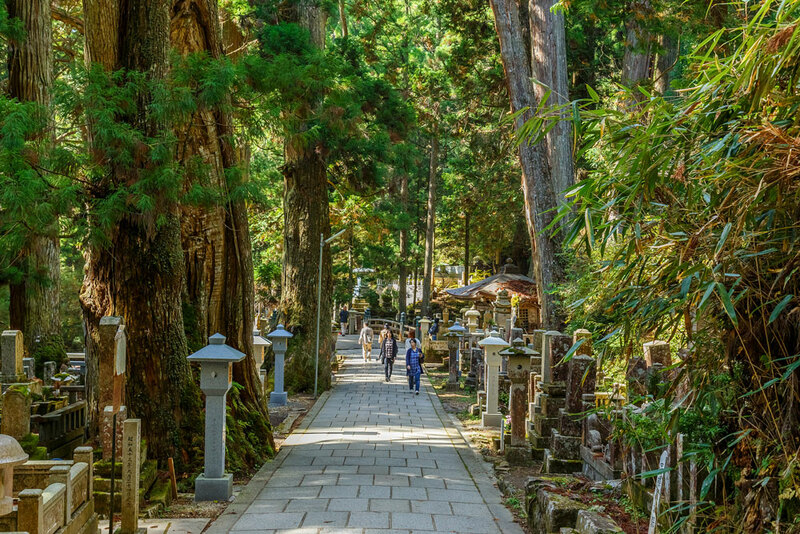 The Danjo Garan Complex is a sacred place representing the concept of Shingon Mikkyo Buddhism established by Kobo Daishi (Saint Kobo). Tokyo is one of the 47 prefectures of Japan. Tokyo is in the Kantō region on the southeastern side of the main island Honshu and includes the Izu Islands and Ogasawara Islands. It is the capital of Japan, the center of the Greater Tokyo Area, and the most populous metropolitan area in the world. It is also the seat of the Japanese government and the Imperial Palace, and the home of the Japanese Imperial Family. Tokyo Metropolis was formed in 1943 from the merger of the former Tokyo Prefecture and the city of Tokyo. ‘Zen’ is the way the Chinese word Ch’an is pronounced in Japan. ‘Ch’an’ is the Chinese pronunciation of the Sanskrit word Dhyana, which means (more or less) meditation. Meditation is a mental and physical course of action that a person uses to separate themselves from their thoughts and feelings in order to become fully aware. It plays a part in virtually all religions although some don’t use the word ‘meditation’ to describe their particular meditative or contemplative practice. Meditation does not always have a religious element. It is a natural part of the human experience and is increasingly used as a therapy for promoting good health and boosting the immune system. The Imperial House of Japan also referred to as the Imperial Family and the Yamato dynasty comprises those members of the extended family of the reigning Emperor of Japan who undertake official and public duties. Under the present Constitution of Japan, the Emperor is “the symbol of the State and of the unity of the people”. Other members of the imperial family perform ceremonial and social duties but have no role in the affairs of government. The duties as an Emperor are passed down the line to their children and so on. The Sensoji (Sensoji was also known as Asakusa Kannon Temple) is a Buddhist temple located in Asakusa. It is one of Tokyo’s most colorful and popular temples. The legend says that in the year 628, two brothers fished a statue of Kannon, the goddess of mercy, out of the Sumida River, and even though they put the statue back into the river, it always returned to them. Consequently, Sensoji was built nearby for the goddess of Kannon. The temple was completed in 645, making it Tokyo’s oldest temple. Ginza is Tokyo’s most famous upmarket shopping, dining, and entertainment district, featuring numerous department stores, boutiques, art galleries, restaurants, nightclubs and cafes. One square meter of land in the district’s center is worth over ten million yen, making it one of the most expensive real estate in Japan. It is where you can find the infamous $10 cups of coffee and where virtually every leading brand name in fashion and cosmetics has a presence. Arrive in Japan – The Land of the Rising Sun. Upon arrival at KANSAI/ITAMI Airport, receive a warm welcome. Transfer to the hotel in coach. Check into the hotel. 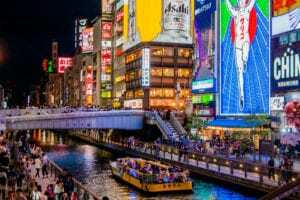 Have dinner on your own and stay overnight at your booked hotel in Osaka. Have your breakfast at your hotel. 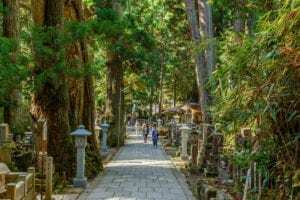 After breakfast, walk to Nankai Namba station (Gokurabashi-Koyasan station) and visit Ichinohashi Kanko Center, Okuno-in Temple, and Danjo Garan Complex. Transfer to your hotel by your own. The tour ends at Nankai Railway Namba Station. Upon arrival, have dinner on your own and stay overnight at the hotel in Osaka. Breakfast at the hotel. 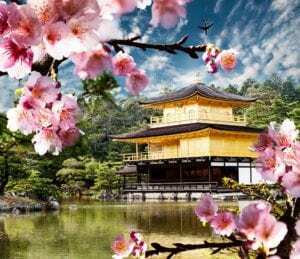 After breakfast, the tour starts from Osaka Station and will proceed to Nijo Castle, Kinaku-ji Temple, Kyoto Imperial Palace, Kitano Tenmangu Shrine, Nara Park & Todai-ji Temple, Kasuga Taisha Shrine, and Nara Nagomikan. The tour Ends at Namba Osaka Station. Have dinner on your own and stay overnight at the hotel in Osaka. Enjoy your breakfast at your hotel. After breakfast, check out the hotel and depart to Osaka Station. Take the bullet train to Tokyo. Check into the hotel. Zen Meditation Classes in Tokyo afterward. Have dinner on your own and stay overnight at the hotel in Tokyo. Take your breakfast at your hotel. After breakfast, gather at designated location and board the bus bound for Hamamatsucho Bus Terminal. Head to Meiji Shrine, East Garden of Imperial House, Senso-ji Temple & Nakamise Shopping, and Ginza. The tour ends at Yurakucho. The day is free for leisure. Have dinner on your own and stay overnight at the hotel in Tokyo. Enjoy your breakfast at your hotel. After breakfast, gather at the designated location and depart from Hamamatsucho Bus Terminal. Head to Mt. 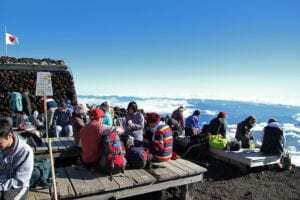 Fuji 5th Station by bus. Upon arrival to Mt. Fuji (subject to weather conditions) start with the Fuji Visitor Center, Mt. Fuji 5th Station, and Lake Ashi Cruise. Have lunch on your own. After lunch, enjoy the Mt. Komagatake Ropeway and depart Hakone. Proceed to Shinjuku Station road. Upon arrival, have dinner on your own and stay overnight at the hotel in Tokyo. Take your breakfast at your hotel. Check out the hotel and transfer to NARITA/HANEDA Airport for your international flight.